Yes, You ARE Online Even If You Aren’t. 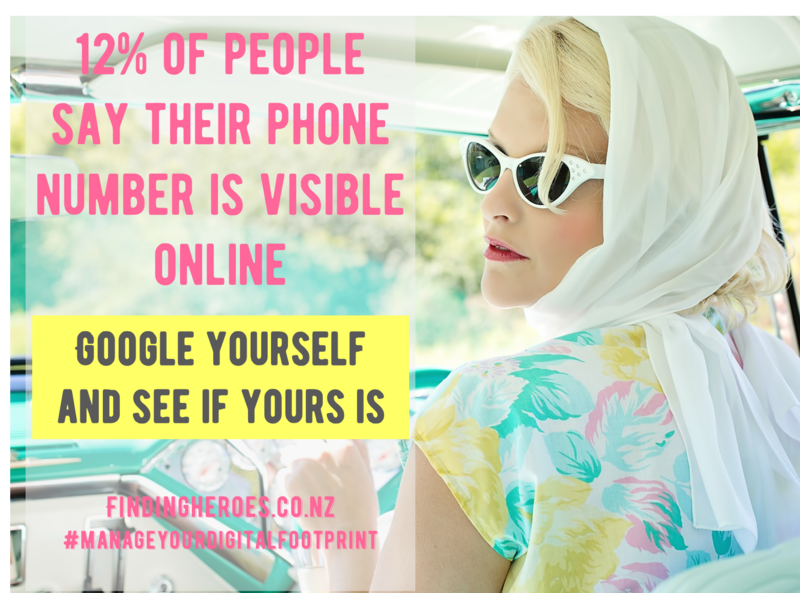 While you may think it is egotistical to do so, you also put yourself at risk by simply not knowing what information about you is out there. Knowing what information about you may be available online, how this information is created and stored, and what you can do to control it is fundamental to being able to behave confidently in digital spaces. It directly relates to LIANZA’s Bodies of Knowledge (BoK1) as an important part of understanding the information environment in which we work and leads on to thinking about privacy and protection of personal online data. Your name is your reputation. There is no faster way to find out about someone than to Google them. Do you know what information about you is online? Here’s how you can find out. Go to Google and search for yourself using any number of the examples shown below. For each search also check the results in the images, videos and news tabs. What’s the strangest thing someone could learn about you by Googling your name? What, if anything, would you like to change? It would be lovely to share what you have discovered in the comments. Manage Your Digital Footprint teaches you how to proactively protect your identity, reputation and data in online spaces. Discuss how email providers collect and use personal data when helping others to create an email account. Create a handout with ways seniors can protect themselves online. Explain the various privacy options when assisting others to sign up to Facebook, Twitter or Pinterest. If you show members of your community the ins and outs of email, Facebook, apps or the wonders of the web, it is also your obligation to point out how to proactively protect their identity, reputation and data in online spaces. Sign up for Manage Your Digital Footprint today so your community is aware of the risks and knows how to protect themselves. Surprises included websites I had forgotten about like Issu and silly me had posted real estate ad fof my house on pinterest – hopefully noone connects that I live there! Also that there are more of me in NY. I should try with my maiden name, I found a minime a few years ago who I’m now friends with on FB and funnily enough she was also training as a teacher while working in uni library. Good heavens! I had forgotten I’d listed art on the Saatchi website and it’s so out of date. I’d also forgotten I tried Vine at one stage. Interesting! Well worth doing.